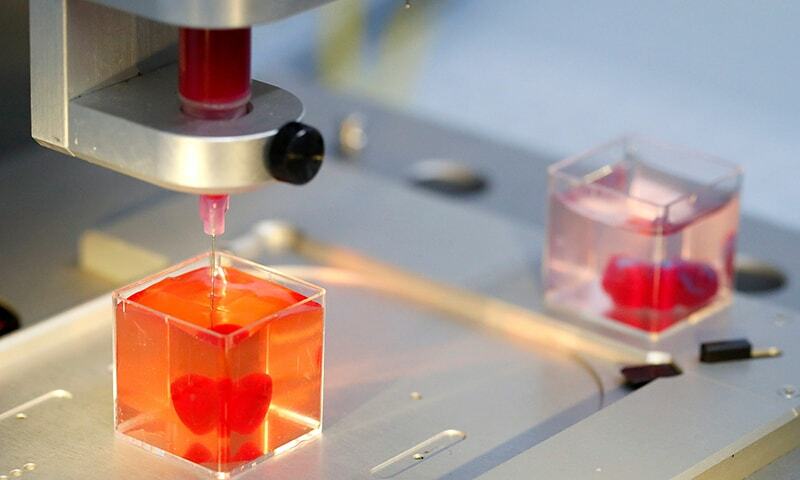 Researchers must now teach the printed hearts “to behave” like real ones. The cells are currently able to contract, but do not yet have the ability to pump. 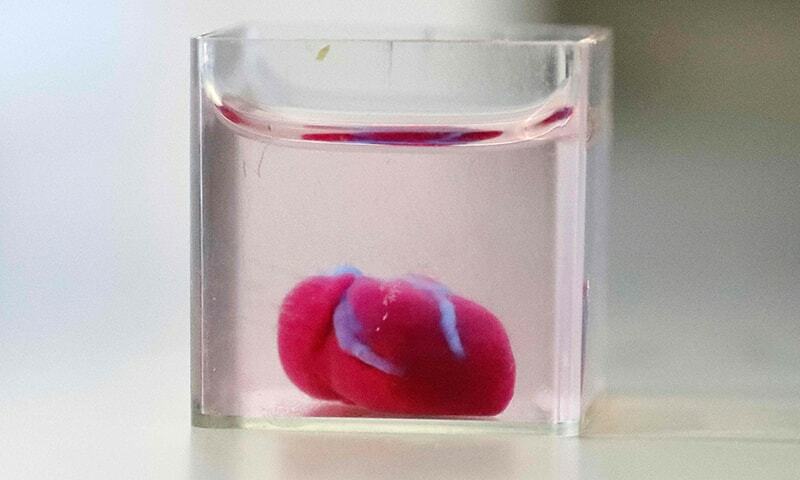 Then they plan to transplant them into animal models, hopefully in about a year, said Dvir. In its statement announcing the research, Tel Aviv University called it a “major medical breakthrough.” A biopsy of fatty tissue was taken from patients that was used in the development of the “ink” for the 3D print. SAN JOSE: The two largest smart phone makers in the world supply a majority of their own modem chips to help their devices connect to wireless data networks, according to evidence presented at an antitrust trial for chip supplier Qualcomm Inc.
A trial between the US Federal Trade Commission and Qualcomm kicked off in a federal courtroom in California on Friday, with the regulators arguing that Qualcomm engaged in anticompetitive patent licensing practices to preserve a monopoly on modem chips. The case is being closely watched because it may shed light on the likely eventual outcome of the global legal battle between Apple Inc and Qualcomm. That has become a big market for Qualcomm, which controlled 59.6 per cent of the $15.3 billion market for 4G modem chips in 2017, according to IDC’s Phil Solis, who studies mobile chips for the research firm. During opening arguments, Van Nest’s presentation said that Huawei internally sources 54pc of the modem chips it puts in its devices and gets only 22pc of its modems from Qualcomm, with the remainder coming from other unnamed makers. Samsung internally sources 52pc of the modem chips it uses, with 38pc from Qualcomm and the rest from other makers, according to the presentation. Huawei and Samsung did not immediately respond to a request for comment. Also, the FTC’s case centers not on the overall modem chip market — which includes slower chips that go into cheaper handsets – but rather the market for speedy “premium” chips where Qualcomm is among the only options. The two firms are also Apple’s fiercest rivals in the market for premium smart phones costing $700 or more. Apple depends entirely on Intel Corp and Qualcomm for modem chips, though the iPhones released in 2018 use Intel modems exclusively. LONDON: Cambridge Analytica, the data firm embroiled in a controversy over its handling of Facebook user data, and its British parent firm SCL Elections have ceased operations, the company said on Wednesday. Cambridge Analytica and SCL Elections will begin bankruptcy proceedings, the firm said, after losing clients and facing mounting legal fees in the controversy over reports the company harvested personal data about Facebook users beginning in 2014. “The siege of media coverage has driven away virtually all of the Company’s customers and suppliers,” the company’s statement said. “As a result, it has been determined that it is no longer viable to continue operating the business, which left Cambridge Analytica with no realistic alternative to placing the company into administration.” Allegations of improper use of data on 87 million Facebook users by Cambridge Analytica, which was hired by President Donald Trump’s 2016 election campaign, has hurt the shares of the world’s biggest social network and prompted multiple official investigations. “Over the past several months, Cambridge Analytica has been the subject of numerous unfounded accusations and, despite the company’s efforts to correct the record, has been vilified for activities that are not only legal, but also widely accepted as a standard component of online advertising in both the political and commercial arenas,” the company’s statement said. The firm is shutting down effective Wednes­day and employees have been told to turn in their computers, the Wall Street Journal reported earlier. Cambridge Analytica is a part of SCL Group, a government and military contractor that says it works on everything from food security research to counter-narcotics to political campaigns. The group was founded more than 25 years ago, according to its website.